Meriken Park is a nice waterfront park in Kobe's port area. The park was built on reclaimed land and is dotted with a collection of modern art installations and fountains. There are a number of attractions within walking distance, making it worth an afternoon visit. With all the wonderful lighting patterns and effects, the park is even more beautiful at night for a long walk along the waterfront. 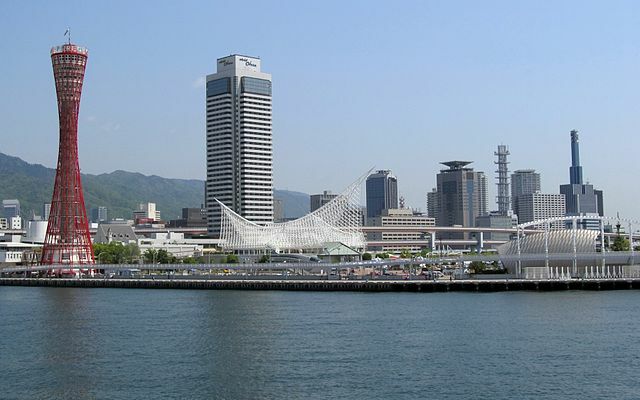 Meriken Park features some of the city's more iconic contemporary architecture such as the Kobe Port Tower, Kobe Maritime Museum, and a memorial to victims of the Great Hanshin-Awaji earthquake. ​In the 1970s the port boasted it handled the most containers in the world. It was the world's busiest container port from 1973 to 1978. 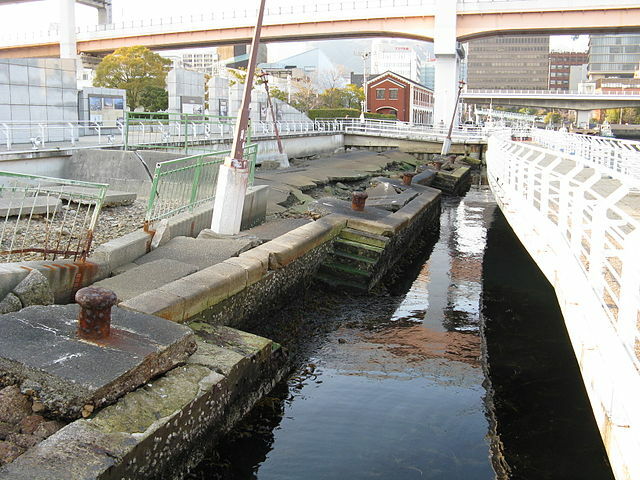 The 1995 Great Hanshin-Awaji Earthquake diminished much of the port city's prominence when it destroyed and halted much of the facilities and services there. Electricity, water, gas, and public transportation all lifeline services were knocked out, and innumerable homes were destroyed, either by the quake or, in the resulting fire because they were mostly old wooden structures. But despite the repair and rebuilding, it has never regained its former status as Japan's principal shipping port. A short section of damaged waterfront has been retained as a reminder of the earthquake's destructive power. 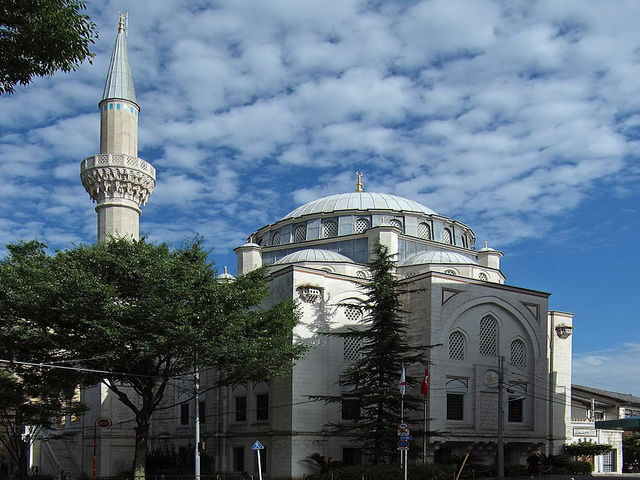 The Earthquake Memorial Museum, part of the Disaster Reduction and Human Renovation Institution, was opened in 2002 to commemorate the tragic event and to educate visitors about earthquakes and disaster prevention. 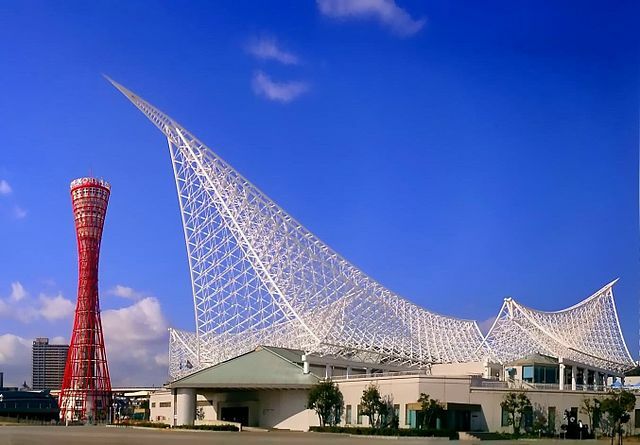 Kobe Maritime Museum stands at the center of the park with its characteristic white space frame roof giving the impression of sailboat racing across the vast ocean. 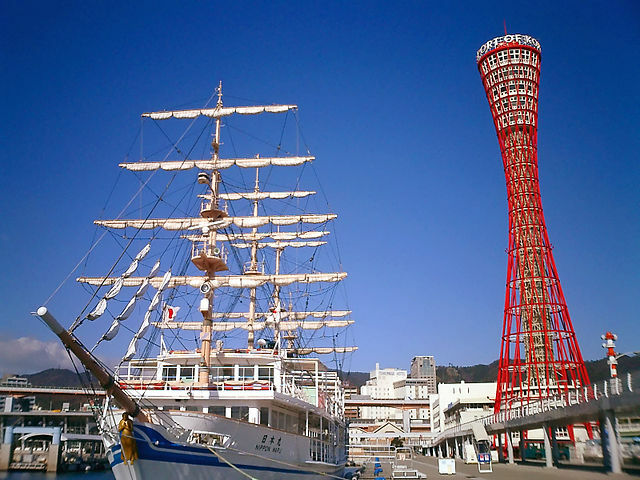 ​The museum is focusing on the history of Japanese shipping and the port city of Kobe. The second floor introduces the history of the port and the importance of its strategic location in the Seto Inland Sea. 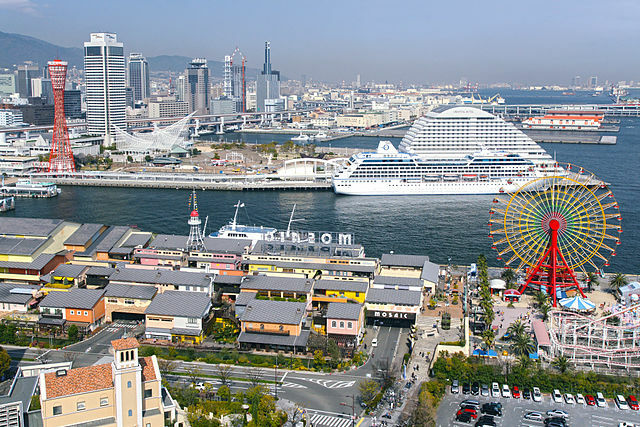 Through such resources as actual riggings, diorama models, and graphics, visitors are offered a glimpse of how Kobe, both the port and the city, has changed over the years. Actual historic boats are on display outdoors around the museum. In the museum, there is a section occupied by Kawasaki Good Times World. 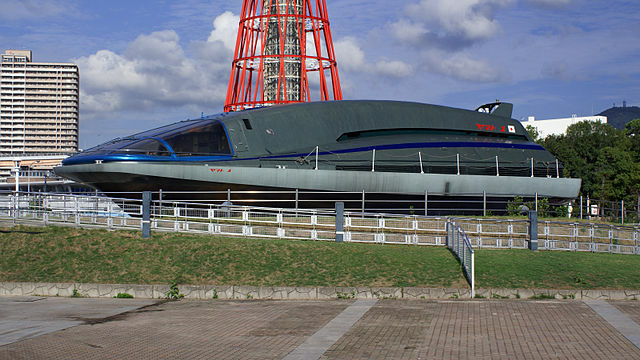 It is the corporate museum of Kawasaki Heavy Industries, manufacturer of various mechanical components and vehicles including motorcycles, Shinkansen Trains, Ships, Helicopters and Jet planes. Through an enjoyable visual and tactile experience, Kawasaki Good Times World offers a look at the past, present, and future of technology used in land, sea, and the air products. The museum exhibits the history of the company and its many successful products, and visitors are encouraged to have hands-on experiences with some of the vehicles. At the museum shop, you can buy anything from items related to Kawasaki land, sea, and air products through souvenirs with a Kobe Port theme to original Kawasaki Good Times World items which you can not find anywhere else. ​To the west of the Maritime Museum stands Kobe Port Tower, the unofficial symbol of the city which offers a viewing pavilion. The Kobe Port Tower is a 108 meters high lattice tower which was completed in 1963. An elevator takes visitors up to its five top floors, two of which house a restaurant and a rotating cafe, while the other three house observation decks that provide 360-degree views of the city. ​Nearby, Nakatottei Chuo Terminal "Kamomeria" is where sightseeing boats depart on lunch and dinner cruises around Kobe Bay and to the Akashi Kaikyo Bridge. The terminal is friendly for those who need special assistance and is well-equipped with Braille signage and audio guidance as well. Cruises take around one to two hours. 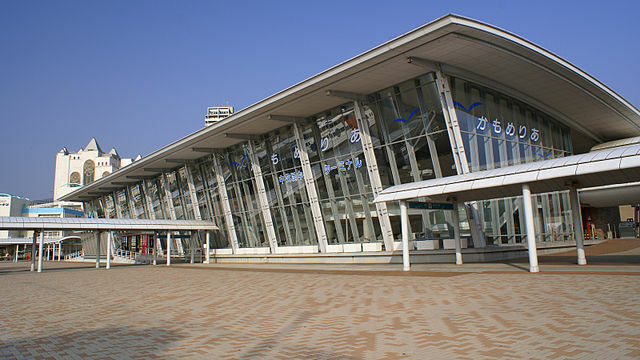 ​Meriken Park is located in Chuo Ward which is the commercial and entertainment center of Kobe. 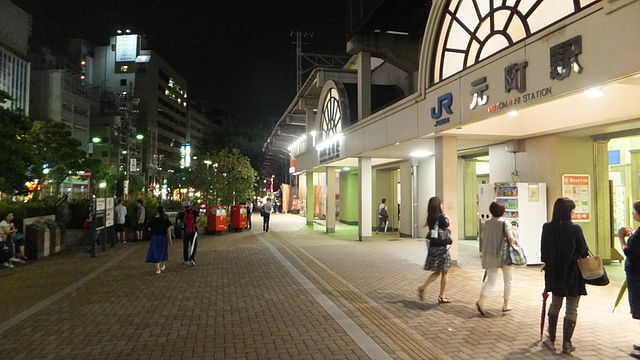 Sannomiya along with Motomachi and Harborland make up the main entertainment areas in Kobe. Meriken Park is about a 10 minutes’ walk south of Motomachi Station. To pick up a city guidebook visit a Tourist Information Center.